Oswego Vision, Ltd. provides professional eye care including eye and contact lens examinations and emergency services for Oswego, Aurora, Yorkville, Plainfield and Montgomery, Illinois. As an Oswego Vision, Ltd. patient, you benefit from highly specialized eye care in a state-of-the-art facility featuring the latest optical technology. The diagnostic instruments we use are the same sophisticated tools often found in expansive medical clinics. You also receive personal eye care at prices often lower than at chain vision centers. You can afford our care and consultation even if you do not carry vision insurance. We’re here to help you keep your eyes in good health so you can enjoy your vision completely. Contact us to inquire about our services, schedule an examination, or learn more about our wide selection of vision products including frames and contact lenses. 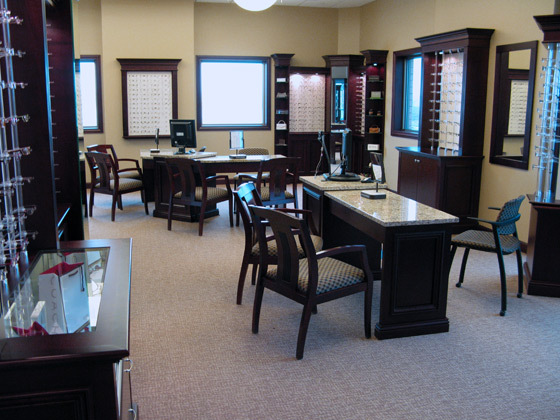 From start to finish, you receive personalized eye care service from Oswego Vision, Ltd. It begins with detailed and attentive front-office staff who accommodate your need to make timely appointments. We also offer insurance consultation to help you make full use of your vision-care benefits. You can request customized assistance for a greater understanding of contact-lens wear, cleaning and schedules as well.